Knowledge Seven is proud to announce the launching of a new Android portal at androidmauritius.com. During the past 18 months, Android use has exploded around the world and in Mauritius to become the world’s most widely-used operating system for smartphones and tablets. Google has just announced that people have downloaded Android applications more than 10 billion times hence showing how dynamic the Android ecosystem is. 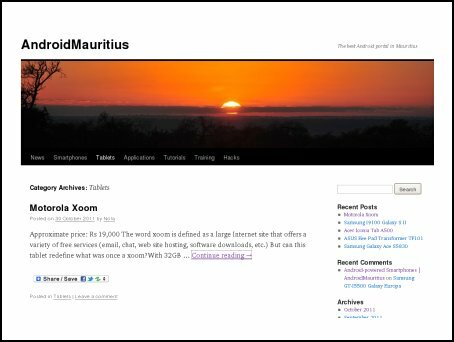 AndroidMauritius provides the latest news concerning Android, reviews Android smartphones and tablets available in Mauritius, and gives tips and tricks. Remaining faithful to Knowledge Seven’s motto ‘Sharing Expertise’, we are also glad to announce the launching of our new forum at knowledge7.com/forum. 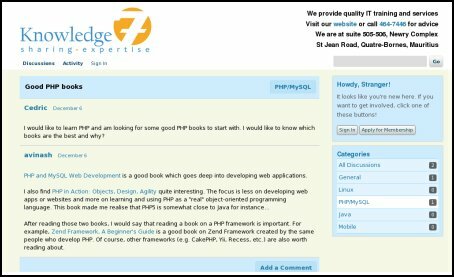 Open-source enthusiasts and IT professionnals will be able to discuss and share their knowledge on the various open-source software and technologies they use on a daily basis such as Linux, PHP/MySQL, Java. Android, etc. We hope that you will find both AndroidMauritius and the Knowledge Seven forum useful. Feel free to share with your friends and colleagues.